Changed business practices, such as employees working on the move and the adoption of the cloud and cloud resources, should be mirrored by a change in security strategies. Organizations are commonly reluctant to adopt cloud technologies over concerns with security and control over enterprise data. However at the same time, many of these same organizations opened up access to applications for employees on the move, users on personal devices, external contractors, and other third parties that created a significantly larger attack surface than cloud services would have. To combat these threats, a number of cloud-friendly segmentation and application isolation techniques can be deployed to allow organizations to safely use the cloud whilst reducing their attack surface. 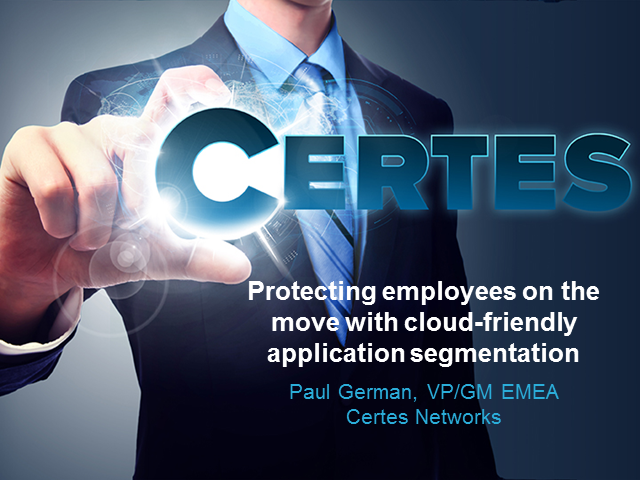 Specifically, application segmentation via software-defined security represents a technique to accommodate borderless applications, adoption of the cloud, and modern user behaviours. Paul German, VP in EMEA, will discuss how the challenges presented by the next generation of information security can be overcome with practical examples and best practice tips.